Grandmaster Wang Haijun was born in January, 1972 in Zhengzhou city in Henan province. At the age of nine his father arranged for him to move to Chen Village to live and study with Grandmaster Chen Zhenglei. Each day before school he would train from five to seven thirty in the morning. After school he would train from four until six, frequently training again in the evening for another two hours before going to bed. In the autumn of 1988, he gained entry to the Wuhan Physical Culture University, one of the top universities of its kind in China. He competed successfully for his university in many competitions. After graduation Grandmaster Wang Haijun was assigned to the post of coach of Pingdingshan Wushu Research and Study College. He is a senior state Wushu referee, the president and head coach of Zhengzhou Wushu Research and Study College, and coach of Henan Chen Zhenglei Taiji Culture Co., Ltd. 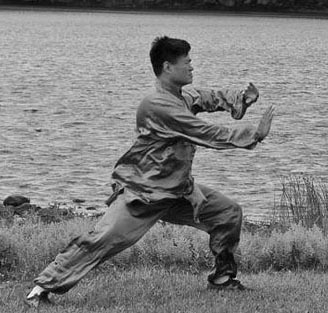 He is an official lineage holder of Chen Style Taiji (12th generation Chen Taiji). He has an extensive list of accomplishments in competition. In 1992 he won three gold medals in national competition, and won the championship in push-hands at the National Taiji Boxing, Sword and Push-hands Competition. In 1994 he won two gold medals in Taiji boxing and sword at the International Wenxian Taiji Championships, and he won the 80-kilo championship in push-hands at the National Wushu Championships. For three consecutive years, 1996, 1997 and 1998, Grandmaster Wang won gold medals in form, sword and push hands as well as the all-around champion’s gold medal at the Chinese National Championships – the highest level of competition in China. Since 1990, Grandmaster Wang has been taking his students to top level competitions in Henan province and the Chinese National Championships. His expertise as a teacher is demonstrated by the fact that his students have won more than 30 gold medals at these competitions. Students of his that have won gold medals at the Chinese National Championships include: Fu Nenbin (push hands, 56 kg class), Fu Zihui (push hands, 52 kg class), Yang Lei (push hands, 65 kg class), Zhao Zhifang (push hands, 63 kg class), and Shi Zhenwen (push hands, 52 kg class). Grandmaster Wang has been certified as 7th Duan in the Chinese National Wushu Association Duan Wei System. 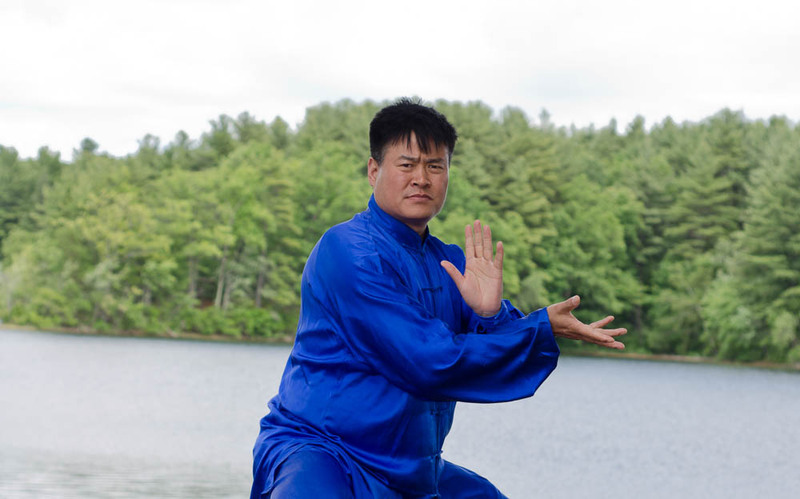 Grandmaster Chen Zhenglei is the 11th direct-line successor of Chen style Taiji. He is the president of Wenxian County Chen Style Taiji Research Society and the general adviser and head coach of Henan Chen Zhenglei Taiji Culture Co.,Ltd. He is the vice-director of Henan Provincial Wushu Administration Center and the Vice President of Henan Wushu Association. 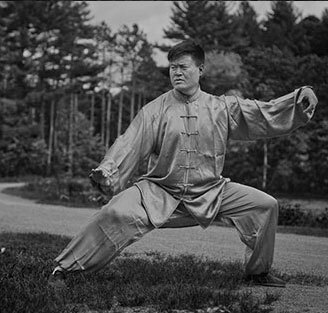 He is also a national senior Wushu instructor and a committee member of China National Wushu association, an association of State Physical Culture Science and one of the Chinese government-selected “Top Ten Martial Arts Masters” of present day China. Grandmaster Chen Zhenglei was born in the birthplace of Taijiquan, in Chenjiagou village, Henan province, in May 1949. From the age of 8 years old Grandmaster Chen Zhenglei learned Taiji from his two uncles: Chen Zhaopei (1893-1972) and Chen Zhaokui (1928 – 1981). He trained with these two masters for over 30 years, being taught both by their personal examples as well as their verbal instruction. In pursuit of their lofty ideals and the struggle to carry forward Taiji culture during the turbulent political climate of China’s Cultural Revolution, he overcame many difficulties and hardships. He studied diligently, trained hard and made great progress in Taiji boxing, sabre, spear, sword, pole routine and push-hands. He also formulated his own theory of high-level Taiji, and enjoys the reputation of being one of the world’s most outstanding Taiji masters. 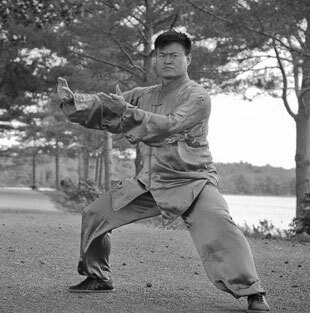 From 1974 to 1987, Grandmaster Chen won First Place and gold medals over ten times in a row in national competitions; he won the national championship two times running, and the titles of ” Excellent Performance” and ” Golden Lion” at two successive national Taiji competitions. From 1989 to 1997 students trained by Grandmaster Chen won the championship 65 times at national and provincial competitions. 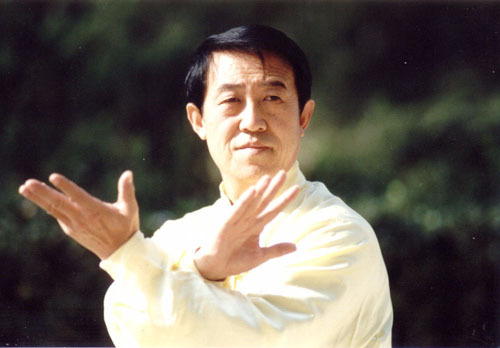 Grandmaster Chen began his teaching career in 1972, and his thousands of students are now distributed over the world. Ceremonies of accepting apprentices have been held since Dec. 1996; now he has more than one hundred direct-line apprentices in China. In 1981 Grandmaster Chen began receiving foreign guests as students. Since 1983 he has taught outside China at the invitations of over 30 countries, including Japan, America, France, Italy, and Britain. He has been nominated as Taiji adviser, honorary chairman and director by over 50 wushu organizations around the world. He was awarded the silk banner “The Peak of Perfection” by the Taiwan Wushu Circles and was presented with the silver plate as “Mount Taishan and the Big Dipper” by Malaysia Taiji. Putting his spare time to good use, Grandmaster Chen devoted himself to theoretical research. The following two are the most well known books written by him: ‘Ten-phase Kongfu Discussion’ and ‘Chen-style Taiji Boxing’, which have become precious documents for Taiji study. Teaching videos have been released by High Education Publishing House, People’s Physical Culture Publishing House and Huanghe Video Works House, and some of the books and VCDs have been translated into other languages, including Japanese, English, French, Spanish and Korean. Along with his great contribution to the development of Taiji, Grandmaster Chen enjoys the support of his home nation and well as widespread international acceptance. In 1986, he was selected as a member of the standing committee of Jiaozuo Political Consultative Conference. He was selected as deputy to the National People’s Congress in 1988, the Principal of Chen Village Taiji School and the president of the Academy of Pingdingshan Taiji-shaolin Study and Research. He was put in the famous book of ‘China’s Great Figures’ in 1992. He was elected as an International Taiji grandmaster in 1994 and “Top Ten Martial Arts Masters” of present day China by the China National Wushu Association in Dec. 1995. He is listed in the following authoritarian and lexicographical works: ‘China’s Contemporary Education Notables’, ‘China’s Present Martial Arts Masters’, ‘Contemporary Reform Elites’, ‘Contemporary Galaxy of Talent’ and ‘World Celebrities’.